Rails Girls comes to Rzeszów! During the free two-day workshop we'll dive into the magical world of Ruby on Rails. Meet cool people interested in tech. Get back to coding - extend your application. Rails Girls Rzeszów is co-organized with our awesome partners. The event will take place at Rzeszów University of Technology main building thanks to Department of Computer and Control Engineering. PGS Software is one of the most dynamic Polish IT companies, serving international clients in Europe and the US. GitHub helps everyone work together with tools for easier collaboration and better visibility. Check it out — open source is free! GitLab is an application to code, test, and deploy code together. It provides Git repository management with fine grained access controls, code reviews, issue tracking, activity feeds, wikis, and continuous integration. 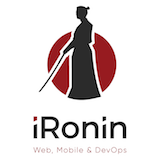 iRonin is Web & Mobile Development Agency specializing in Ruby on Rails, Ember, Angular, Appcelerator Titanium, native iOS and Android development. 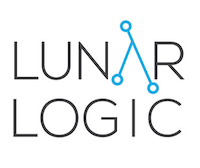 Lunar Logic is a Ruby on Rails development team that loves crafting together web applications using the latest cutting edge technology. Fotoacc Grzegorz Łobodziński is a multi-utility company offering filmmaking, aerial photography and videography, production and service of UAV and UAVO training. Who is this aimed for? Women of any age with basic knowledge of working with a computer. We’ve had people of all ages taking part.